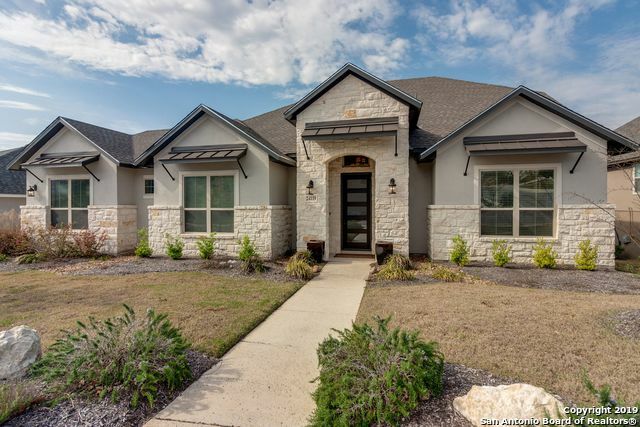 All CIBOLO CANYONS/ESTANCIA homes currently listed for sale in San Antonio as of 04/24/2019 are shown below. You can change the search criteria at any time by pressing the 'Change Search' button below. "Photos of home are representation of floorplan only.Lrg single story, open floor plan with 3 car garage. Hardwood flooring throughout living areas. Soaring ceilings, wet bar with built in wine refrigerator. Gourmet kitchen features stainless steel dual fuel KitchenAid burner gas cooktop with side griddle, double convection oven, granite countertops, upgraded sink. walk in shower, his & hers closets that connect to utility room." "Casual yet sophisticated 1.5 story home features hardwood flooring throughout living areas. 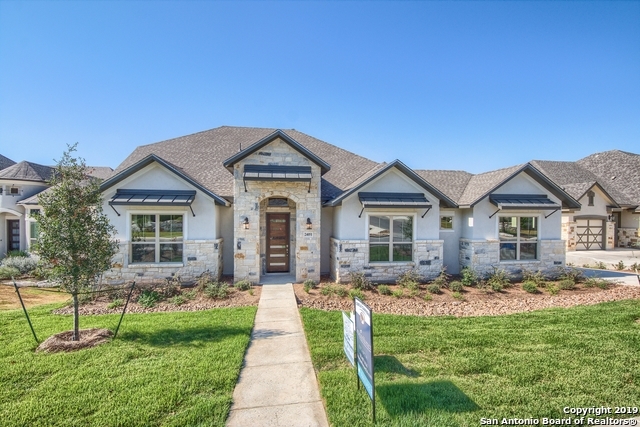 Coffered ceiling study, gourmet kitchen w/gas burner cooktop w/side griddle, wet bar w/wine refrigerator adjoins the family room wi/stone accented fireplace & soaring ceilings. Master bedroom has spacious bath with walk in shower and a 72 soaking tub. Guest suite w/separate bath and 2 additional bedrooms share jack-in-jill bath. Upstairs game room w/half bath. Enjoy the covered patio & deck with outdo"